Sometimes something comes along that reminds us that we are pioneering new knowledge. Here we have a case of much work been advanced with a range of original choices that came to hand at the time. There was no opportunity to ask some pretty basic questions. Here we find that the fat cell is likely best adapted to pass back through the stem cell phase. It also has the huge advantage of been clearly surplus to the body’s needs. This means that we can produce a large supply of stem cells as needed to fight a major organ failure. Suddenly, prepping a large supply of personal stem cells to rejuvenate the body is no longer far fetched. It is quite conceivable that aging itself is solely a result of a high metabolic rate in conflict with a low rate of stem cell production. That is the primary difference between dawn reptiles and us. No one wants to talk the talk, for fear of catching a lot unwelcome attention when we simply do not know much. However, we are already injecting stem cells and gaining clear benefits including what can only be described as rejuvenation. We are about to restore spinal damage and replace insulin islets. These are likely the most difficult of all tasks in front of us. The standard way to make induced pluripotent stem (iPS) cells for medical research is to scrape skin cells and mix up their internal clocks, coaxing them back into pluripotency over a matter of weeks. 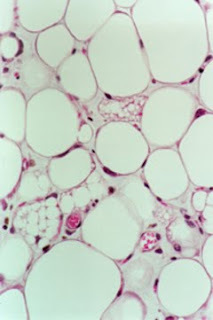 But now researchers at the Stanford University School of Medicine have turned their attention to another cell type in abundant supply: fat cells. The team of cardiologists and plastic surgeons found adipose fat cells to be much more efficient than skin cells at turning back into stem cells. The potential of iPS cells to help treat everything from damaged heart tissue to Parkinson's disease, has prompted intensive research that has looked into the use of skin fibroblast cells as an alternative to controversial embryonic stem cells. Skin cells, however, take a few weeks to be cultured into pluripotency—a process that also often requires exposing the cells to mouse stem cells, called feeder cells, to nourish and guide the transformation. "We thought, why not use a different cell type—and we can easily get access to fat," says Joseph Wu, a co-author of a study on this process and assistant professor of medicine at Stanford. Fat also "turns out to be a readily available, great natural resource," says Michael Longaker, a professor of plastic surgery at Stanford. He and Wu point out that more than a third of Americans are considered obese and even young, healthy patients would have ample fat to harvest for iPS cell culturing. Each liter of fat promises hundreds of millions of potential cells, Longaker estimates. Other stem cells in the body, such as liver and stomach cells, have been examined for their ability to culture usable iPS cells. Fat stem cells, however, seem especially primed for the job, as they are capable of turning into fat, heart, bone or muscle tissue. "We know that these fat cells are multipotent, which should [make it] easier to reprogram them," Wu says. Indeed, they were: According to the team's findings, adipose stem cells can be turned into iPS cells twice as quickly as fibroblast skin cells and with 20 times the efficiency. The process can begin immediately after the fat is harvested—via liposuction—and cells are ready to culture within the same day. The results were published online today in Proceedings of the National Academy of Sciences. Wu and Longaker, both clinical practitioners, are always looking for methods that will present "one less hurdle to worry about," Longaker says. Being able to skip the mouse feeder cell step necessary with skin cells, along with the shortened culturing period, may make the new method more palatable to the U.S. Food and Drug Administration (FDA), which must approve such treatments for human use and prefers methods that reduce opportunities for contamination. Wu, Longaker and their team still have many questions to answer before fat cells could become the latest industry iPS cell standard. They need to find out how much differentiation these cells require before they become helpful in specific areas of the body. "How much do you have to coach them in the dish before you put them back in the patient before they become heart muscles, say?" asks Longaker. The ultimate safety of the cells, especially regarding their potential to spark cancer, will also need to be examined in more detail, notes Yasuhiro Ikeda, an assistant professor of molecular medicine at the Mayo Clinic's College of Medicine, in Rochester, Minn., who wasn't involved in the work. "It will be necessary to characterize the cells in more detail…for their tumorigenicity upon transplantation," he wrote in an email. Wu and Longaker's research thus far has taken a fairly broad swipe at reprogramming adipose fat stem cells, so the team hopes to refine the process to target only the most efficient candidates. "If these are a so-called chicken soup of [cell] population, we don’t know if it's one type of cell or five," Longaker says. "We would like to identify which sub-population is most easily reprogrammable—and reprogram it in a way the FDA would approve of." Other researchers in the field will be watching to see what further tests might reveal about the practicality of using fat cells instead of skin cells for iPS research. "This is definitely a promising new technology for iPS, particularly translating this technology into the clinic in the future," Ikeda notes. Guaranteed Health Care in Iraq?